I am suffering from left side upper back pain as well as left sided chest pain. Please help. 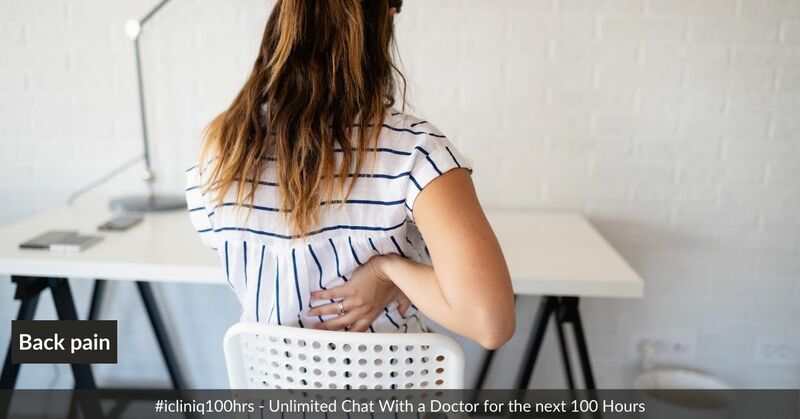 iCliniq › Ask a doctor online › Answers › Orthopedics and Traumatology › Back Pain › I am suffering from left side upper back pain as well as left sided chest pain. Please help. Q. I am suffering from left side upper back pain as well as left sided chest pain. Please help. I am suffering from left side upper back pain as well as left sided chest pain for the past one year. Day by day it has been increasing. I underwent ECG, Echo and TMT eight months back. All the tests were normal. My lipid profile is as follows:Tryglicerides - 276, LDL - 85, HDL - 28 and total cholesterol - 180. At present I am suffering from giddiness and drowziness. No steadiness when I am walking. Please suggest me treatment to overcome this. What are the tests that I should perform? I do not smoke. I do not drink alcohol. My height is 5'10" and I weigh 75 Kg. • What can cause left-sided chest pain while breathing? Your upper back pain and left sided chest pain might be due to a condition called cervical radiculopathy. It is a condition where the nerves at your neck level get compressed between the neck bones and causes pain in the back of neck or upper back or arm or shoulder or hand or chest. For the diagnosis of this condition you need to get an MRI cervical spine done. Till then do slow rotational exercise of neck. Now coming to your giddiness, drowziness and unsteadiness while walking, this needs evaluation. It could be due to inner ear problems, vitamin B12 deficiency or brain problems. First you get checked by an ENT doctor for any inner ear problems. Also get serum vitamin B12 levels done and revert back.